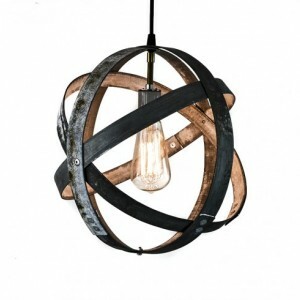 ATOM Collection - Dualistic - Wine Barrel Double Ring Chandelier / made from salvaged Napa wine barrels - 100% Recycled! 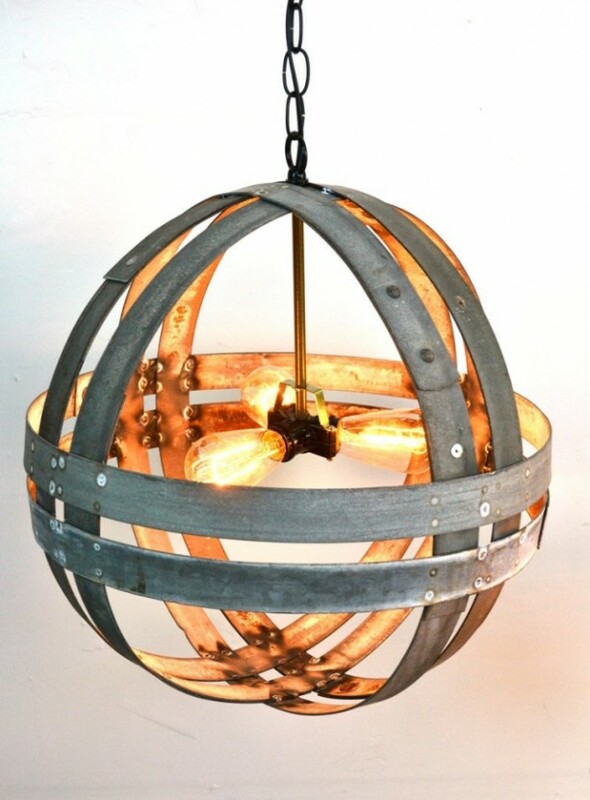 Handcrafted from retired Napa valley wine barrel rings in the heart of California wine country, our exquisite lighting collection will showcase your home or business with a rustic elegance unique to California wine culture. 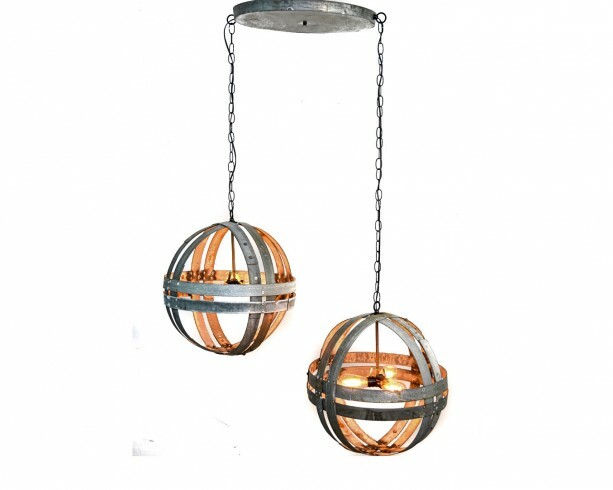 The "Dualistic" chandelier utilizes 2 of our 14" "Maruta" pendants (also sold separately), hung from a 14" recycled steel canopy. 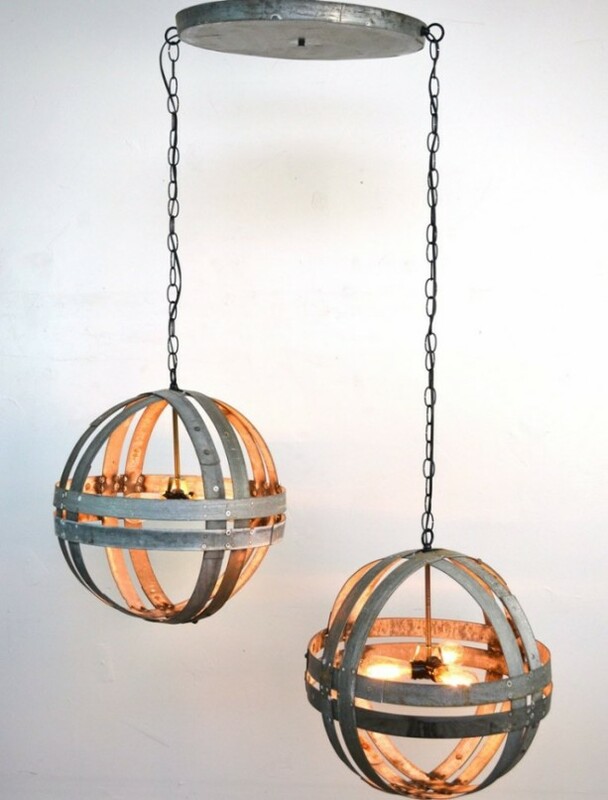 Our Maruta pendants are constructed from retired Napa wine barrel rings, which are hand-cut and shaped, creating a globe that really makes a design statement. 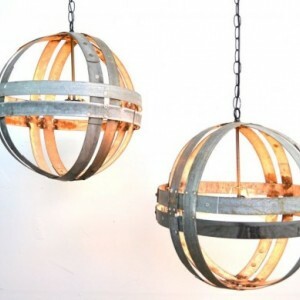 Some have likened its industrial vibe to steampunk, but its rugged simplicity looks great in numerous settings and design schemes. 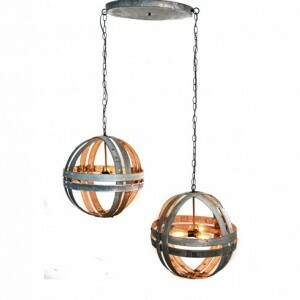 Really spectacular in entryways! SOCKET: (3) e26 (standard) WATTAGE: 100W each/ 200w total BULB: LED or standard bulbs. Fully dimmable. BULBS NOT INCLUDED. 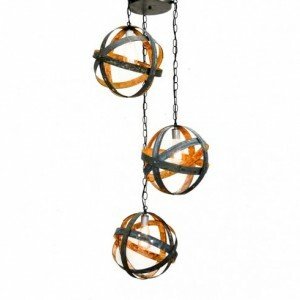 INCLUDES: fixture, ceiling canopy, mounting hardware. 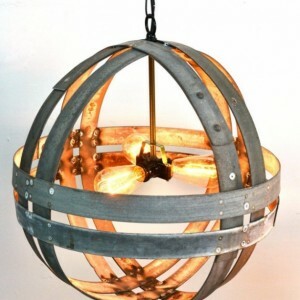 DIMENSIONS: GLOBES: 14" DIAMETER HANGING HEIGHT: 48" OVERAL (if you need different lengths, just let us know) MATERIAL: Retired Napa wine barrel rings, recycled steel. 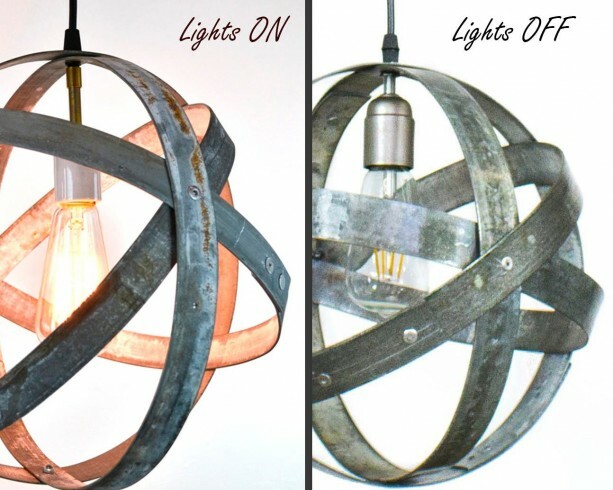 All our products are carefully handmade using 100% recycled materials. 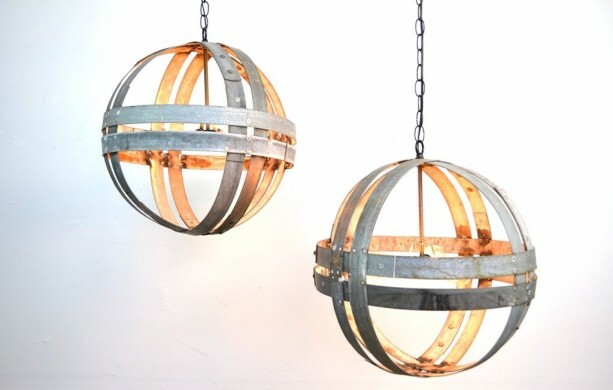 They are individually handcrafted, one of a kind creations, and not factory manufactured. It is therefore quite difficult to make identical items. Our attentive artisans make every effort to create only the best from materials with natural variations that should not be misconstrued as flaws. 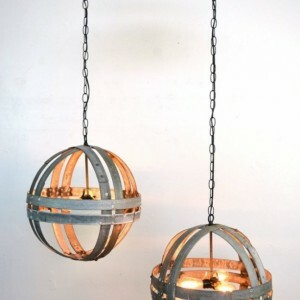 These make each piece of a handmade product charming and unique. The pictures may not be identical to the product you receive. It's probably even more awesome! 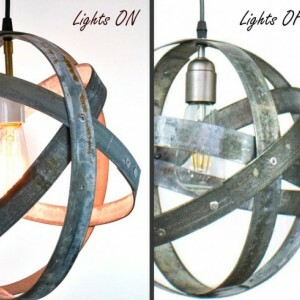 *All lighting products made by Wine Country Craftsman are of the highest quality and made with UL Listed parts from licensed electrical suppliers, however the light fixtures themselves are not UL Approved.